In 2004, I reviewed a home-theater speaker system based on the original Paradigm Reference Signatures, which, I said then, "redefine high-end multichannel sound at a reasonable price." Several of those speakers became the basis of my reference speaker system and remain so to this day. However, speaker technology constantly advances, and since then Paradigm has twice updated their "statement" line. All of the drive-units in the speakers have been updated or replaced, some speaker models have been dropped from the line entirely, and several new ones have been added. With all of the updates that Paradigm has made in the Reference Signatures, I was eager to hear what the latest iterations could do. The review system I received comprised (all prices USD, per speaker): the Reference Signature S6 v.3 mains ($2899 each), C3 v.3 center ($2299), ADP3 v.3 surrounds ($1799 each), and Sub 1 subwoofer ($3799), for a total system price of $15,494. The speakers come in a standard Cherry finish, but are also available in Natural Maple or Piano Black finishes at additional cost. The v.3 Reference Signatures look very similar to earlier versions, but closer inspection revealed some of the improvements in the drivers. Paradigm introduced their 1" tweeter of pure beryllium and their cobalt-infused midrange driver in the v.2s. In the v.3s, the midrange has been further improved and the woofer entirely redesigned; the latter features a Non-Limiting Corrugated (NLC) surround and a new motor structure said to improve cone excursion by an astounding 50%. This more efficient woofer has allowed Paradigm to increase the outputs of the tweeter and midrange, which, they say, had been held back in earlier versions. The Reference Signature S6 v.3 is a mid-size, three-way floorstander; its 1" tweeter, 7" midrange, and two 7" woofers are in a tightly grouped vertical array. There’s a front port directly below the lower woofer, and a panel recessed into the bottom of the rear panel holds high-quality binding posts for biwiring or biamping. At only 43.75"H x 8.25"W x 13.5"D, the S6 v.3 is quite compact but weighs a dense 70 pounds. The same woofers and tweeter are used in the Reference Signature C3 v.3 center-channel speaker, along with a 4" version of the cobalt-infused midrange driver. The tweeter is directly above the midrange, this vertical array flanked on each side by a single woofer. The C3, too, has binding posts for biwiring or biamping on the rear, as well as two ports. The C3 v.3 is just as solidly built as the S6 tower, and weighs a healthy 45 pounds while measuring only 26.5"W x 9.5"H x 13"D.
The Reference Signature ADP3 v.3 is a dipole surround design in which the same tweeter and 4" midrange as are used in the C3 are positioned in a similar vertical array duplicated on the two angled sidepanels of the sealed trapezoidal enclosure. On the front of the speaker is a single 8" bass driver with a slightly less aggressive-looking NLC surround. Like the other Reference Signatures, the ADP3 v.3 can be biwired or biamped. It measures 14.125"W x 13.25"H x 7.5"D.
While the above are all updates of earlier Signature models, the Reference Signature Sub 1 is an entirely new design similar to the larger Sub 2, which Jeff Fritz reviewed, and which won a SoundStage! Network Product of the Year award. It’s a short hexagonal column, its six woofers with NLC surrounds arrayed in vertical pairs on every other one of its six sides. These 8" cones are driven by two class-D amplifiers claimed to output a combined total of 1700W RMS and 3400W peak. All Paradigm subwoofers are now DSP-controlled; the company’s Perfect Bass Kit (PBK-1) room-correction system is included in the price. Although the Sub 1 measures only 20.25"H x 19.875"W x 17.875"D, it weighs a whopping 109 pounds. The subwoofer’s sixth, rear facet is occupied by a large, extremely solid aluminum panel on which are provided controls for level, crossover frequency, and variable phase. The inputs are a pair of stereo RCAs or a single XLR jack, and a USB input offers connection to a computer, for use of the PBK-1 software. A DC trigger input is provided to control the power, or the Sub 1 can be set to Auto sensing. Available only in standard Cherry or Piano Black, the Sub 1 is constructed to an extremely high level of fit and finish, and has a rock-solid feel appropriate for a high-performance subwoofer costing $3799. In fact, all of the Reference Signatures were finished to an incredibly high standard. My only complaint was that the plastic tabs of the pressure-fit grilles seemed a little fragile. Otherwise, I can’t overemphasize the sense of luxury and cutting-edge engineering that I experienced when listening to these speakers in my system. I ran the PBK-1 room-correction software on the Sub 1 in various locations and found that it required the least amount of correction in the left front corner of the room. I then set the Sub 1’s phase control so that the sub’s output blended as smoothly as possible with that of the mains, and ran the Anthem Room Correction (ARC) software on the entire speaker system through Anthem's Statement’s D2 audio/video processor. After listening to the system this way for a while, I turned off the Sub 1’s PBK-1 room correction because it seemed somewhat redundant, and reran ARC, letting it perform all room correction. I couldn’t tell the difference between these two setups, so I left it in the latter configuration, figuring that the less the audio signal was manipulated by room-correction digital signal processing, the better. The S6 v.3s and C3 v.3 replaced the original S8s and C3 at the front of my room. I set the ADP3 v.3s on 50"-tall stands just behind me, along the sidewalls, and slightly angled to give the best combination of imaging and surround envelopment. The rest of my system consisted of my usual suite of electronics: Bel Canto e.One REF1000 and eVo6 power amplifiers, Oppo BDP-83 universal Blu-ray player, Sony PlayStation 3, Trends Audio UD-10.1, cables by Analysis Plus and Essential Sound Products, and power-conditioning products by Blue Circle Audio and Zero Surge. The Paradigm Reference Signature v.3 speaker system had an exceptionally clear midrange and smooth, extended treble, as I’d expected. Jeff Fritz and Doug Schneider have reviewed Reference Signature speakers with pure-beryllium tweeters, and have commented on their clarity and transparency. What I did not expect were the new models’ dynamics and sheer slam. My reference system of original Reference Signature S8s, C3, Servo-15 v.2 subwoofers, and Mirage Omni 260 surrounds is no slouch, but the Signature v.3s with Sub 1 sounded clearly superior. Even without a sub, the S6 v.3s could play incredibly loud with excellent control of the lowest frequencies. Listening to "Poker Face," from Lady Gaga’s The Fame Monster: Deluxe Edition (CD, Streamline/Interscope 0602527210360), I might have thought a subwoofer was hooked up, but the large amounts of bass were coming from the compact floorstanders alone. Although the S6 v.3s couldn’t quite reach down to the lowest octave, they still went plenty low while exhibiting almost no bloat, which gave the music a solid, punchy sound. Even at insanely high volume levels, there was little if any congestion, and voices remained clear and composed. Adding in the other channels of the Reference Signature v.3 speaker system for multichannel music and film soundtracks resulted in even more spectacular sound. The rooftop chase and subsequent fight inside a building in The Bourne Ultimatum, on Blu-ray, sounded amazing. The serene sounds of birds and the echoing musical score is punctuated by extreme dynamics as the chase begins. The scene then shifts to a hushed hallway with an uncanny sense of space, as a baby cries in the background. The 360-degree soundstage was seamless, sounds moving from speaker to speaker as the chase progressed through the building. Powerful musical numbers such as "Jai Ho" and "O . . . Saya," from the Slumdog Millionaire soundtrack on Blu-ray, were reproduced with authority by the Reference Signature v.3s, but my favorite musical passage in this film is the subdued "Latika’s Theme." During the final scene, in a train station, my room filled with gorgeous ethereal vocals as Latika appeared like a vision. The bass in this passage is low in volume, but the tight control exhibited by the Paradigms let me follow subtle changes in the beat even as I easily understood the dialog, which is spoken barely above a whisper. It would be difficult to overstate just how well the Reference Signature v.3 system reproduced all types of program material. 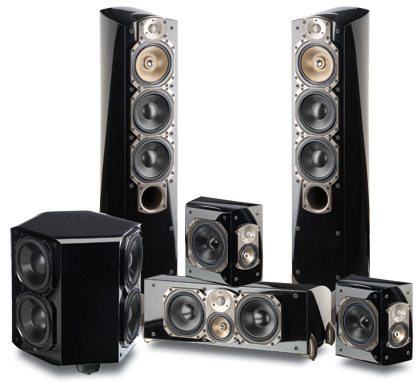 The S6 v.3s would be at home in just about any high-end, two-channel sound system. The C3 v.3 and ADP3 v.3s were just as capable, expanding that reference-quality sound to multichannel recordings. The Sub 1, with its unique hexagonal shape and six drivers, deserves special mention for its ability to fill my room with massive amounts of bass without noticeable distortion. This ultraclean reproduction of low frequencies allowed it to disappear aurally, yet still rattle objects at opposite ends of the room. "Hips Don’t Lie," from Shakira’s Oral Fixation Tour (Blu-ray), has some serious bass; the Sub 1 energized my entire room while maintaining a tight grip on every note. That grip was so absolute that it sometimes felt as if the Sub 1 was directly coupled to my room; no matter how loudly I played it, the bass was evenly distributed, with little, if any, distortion. The Reference Signature v.3 surround system easily outperformed my reference system of original S8s ($5400/pair, discontinued), C3 ($1500, discontinued), two Servo-15 v.2 subs ($2500 each, discontinued), and Mirage Omni 260 surrounds ($1000/pair, discontinued). With the new speakers I heard more dynamic sound, a smoother, more extended treble, a clearer midrange, and bass that was plentiful, yet just as clean and articulated as the higher frequencies. The Reference Signature v.3s’ midrange purity made voices sound dazzling. Singer-songwriter Rebecca Pidgeon, on the 24-bit/88.2kHz download of her The Raven: The Bob Katz 15th Anniversary Remaster, sounded about as good as I have ever heard a recording sound. There was an effortless and soaring quality to "Kalerka," and she sounded just as lucid on "Spanish Harlem" -- I was easily able to follow the musical flow of the double bass. The woody resonance following the pluck of each note sounded wonderfully unique. Through the original Reference Signatures, there was more homogeneity to the bass and a slight coarseness in Pidgeon’s voice. Listening to the 24/96 version of "Heart of Gold" from North Country, included in Neil Young Archives, Vol.1: 1963-1972 (DVD, Warner-Reprise 075993999662), there was an enhanced sense of a live performance. The original Reference Signatures provided a palpable feeling of energy from Young’s concert, but the v.3s really brought this recording to life. The acoustic guitar had a deeper, more solid feel, and the harmonica was brash without becoming irritating. Even Young’s rambling introduction to the song, which elicits mild laughter from the audience, was more intelligible. My two Servo-15 v.2s are able to fill the room with ample amounts of low frequencies, but the Sub 1 was more articulate, and able to go lower with less distortion. This was noticeable with both music and film soundtracks, but was clearly evident when I played the 20Hz test tone from the Hsu Research/Boston Audio Society Test CD 1. The Servo-15 v.2s amply energized the room, but drew attention to themselves by generating some physical noise as their single 15" drivers worked feverishly to reproduce the tone. Playing this same track, the Sub 1 remained completely noiseless as its six drivers worked in unison to cancel out cabinet vibrations and smoothly distribute the bass in all directions. The entire room eerily filled with bass, with no indication of its origin; loose objects seemed to rattle at random throughout the room -- and even in other rooms. The Paradigm Reference Signature v.3 system is an absolutely stellar combination of loudspeakers. At $15,494, it is also the most expensive home-theater speaker system I have reviewed. Even so, I consider it an excellent value for its exceptionally high level of performance. For both movies and music, each component of the Signature v.3 system performed flawlessly. The S6 v.3s were spectacular, whether on their own or as part of a 5.1-channel system. Some manufacturers’ center and surround models seem afterthoughts, but the C3 v.3 and ADP3 v.3 matched the performance of the incredible S6 v.3 note for note. Add to all this a truly world-class subwoofer in the Sub 1, which includes Paradigm’s sophisticated PBK-1 room-correction system, and it’s hard to imagine a better home-theater speaker system at any price. 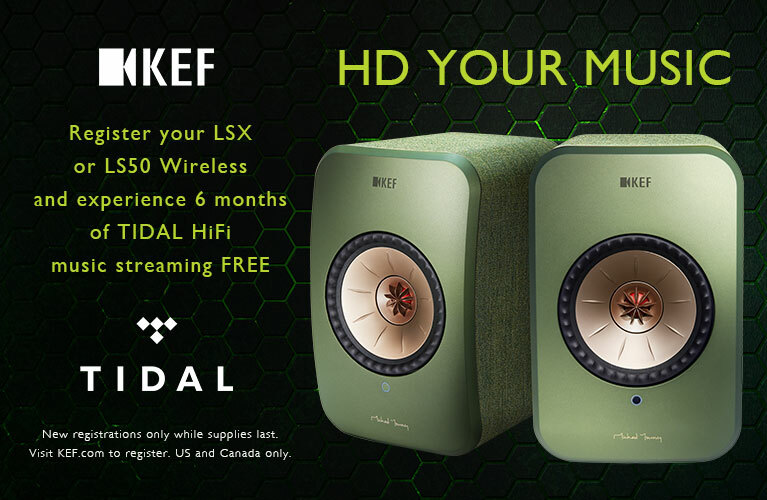 Warranty: Five years, speakers and subwoofer drivers; three years, subwoofer amplifier.